KAMPALA – Parliament has been asked to reign over the Ministry of Finance saying the institution has hijacked the mandate of Uganda Road Fund, an action that has rendered the Fund redundant. 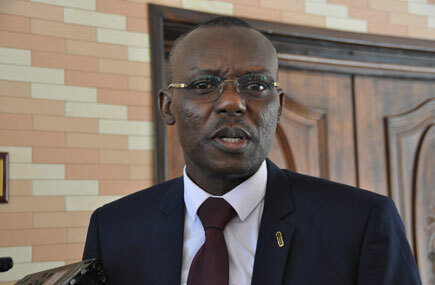 The request was made by Minister of State for Transport, Vincent Bagiire who pleaded with the MPs on the Physical Infrastructure Committee saying the decision by the Treasury to wire the money for road construction and maintenance to the districts and other road entities, something he says usurps powers of the Road Fund. The Minister’s remarks were re-echoed by Michael Odongo, Executive Director Uganda Road Fund who told the Committee that before the Fund is even fully operationalized, their mandate is being threatened and warned that if the situation persists, Road Fund’s monitoring in districts will be curtailed and asked the Ministry of Finance to make amendments to the Uganda Road Fund Act if they want to take on the Fund’s mandate. Uganda Road Fund was established by an Act of Parliament in 2008 to operate as a 2G (Second Generation) Fund with the objective of financing routine and periodic maintenance of public roads in Uganda from mainly reserved road user charges. Within the East African Region, Uganda was the last country to launch a second-generation road fund. The Fund became operational in 2010. The Fund has a duty to finance the implementation of the Annual Road Maintenance Programmes (ARMP) that are carried out by the Uganda National Roads Authority(UNRA), Kampala Capital City Authority (KCCA) and the other designated agencies responsible for District, Urban and Community Access Roads.